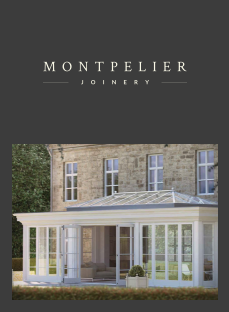 Whether you are refurbishing a period property or building a new home, our bespoke Timber windows are manufactured in our onsite workshops to suit all style and size requirements. Our casement windows are available in three distinct styles; traditional, contemporary and faux sash, as an alternative to our traditional sash windows. More commonly found on period properties traditional casement windows close flush into the frame. They provide a timeless look whilst offering warmth and security, hence why they remain one of the most popular designs today. A very sophisticated option for more modern properties, contemporary casement windows typically feature overlapping or lipped windows that close onto the frame. This unique design offers a flush fitting storm-proof casement further enhancing the windows performance. Our sash casement windows offer a very practical solution to sash windows. The clever design replicates the exterior look of a traditional sash window but without the need for costly sash boxes, building work and maintenance that goes along with them. The box sash window dates back to the 17th Century and is still highly regarded as one of the most elegant and peerless designs ever offered. Our sash windows come in a choice of traditional cord and weights or a modern spiral balance system. We offer a full range of personalisation options such as Georgian bars, single or double glazing and antique leading. To ensure the windows meets the specified requirements of each of our clients, local planners and conservation officers. The entrance to your home is a key focal point to a property and creates a first and lasting impression. Our doors provide not only an aesthetic appeal to the property but also offer security and performance to meet the demands of modern life. We have a range of standard doors from traditional to contemporary however if you still can’t find what you’re looking for in our exclusive range we can design and manufacture to your specified requirements.